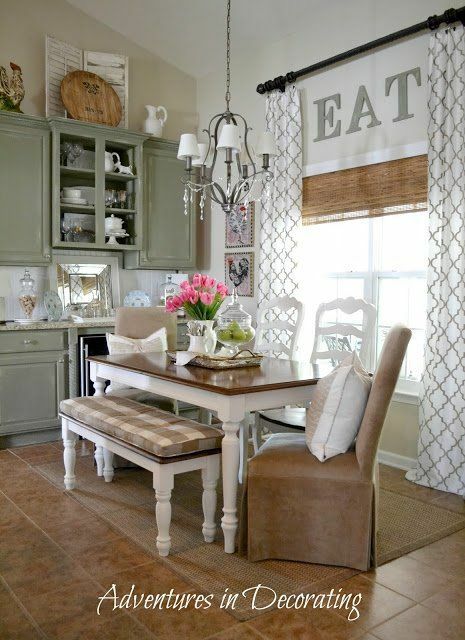 Savannah’s dining room is perfection! The navy hutch matches the navy polka dotted seat cushions. 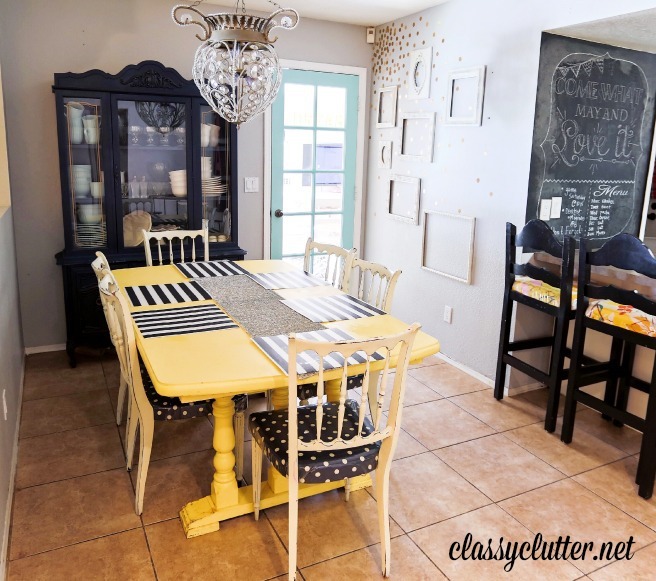 The yellow table is genius and I still can’t get over the light fixture | Read about her dining room here. Our kitchen is teeny tiny but I love our little breakfast nook. Since this photo, I’ve painted it grey beneath the chair rail, added polka dots to the curtains and I’m currently working on painting a new dining table and chairs set! I plan on painting it the same as this set but the new table is a bit bigger. 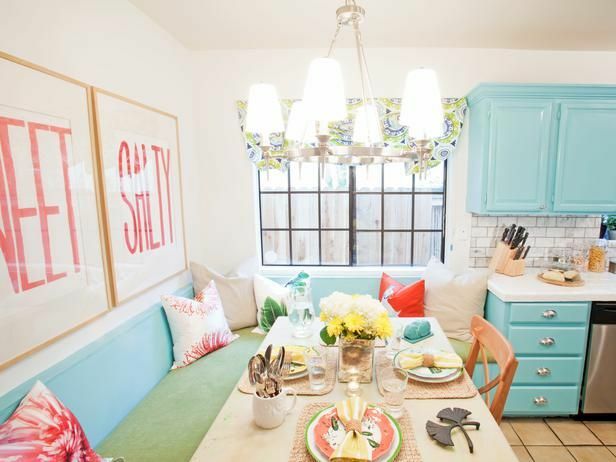 I love all of these but especially the breakfast nook from HGTV with the cushioned benches and light blue cabinets!! 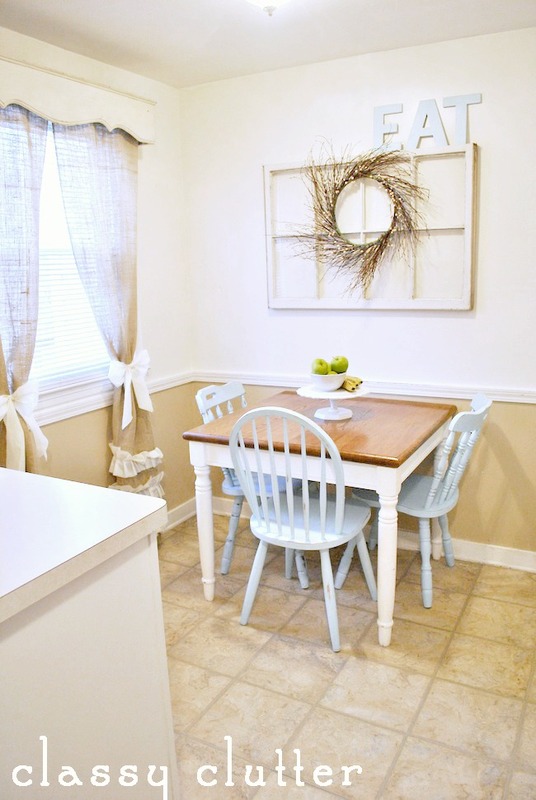 I love the cabinets but don’t think I could talk my husband into letting me paint ours blue. Maybe one day!!! Thanks for sharing all of these, they are so pretty!